Facebook Chat is one of the most heavily used instant messaging protocols around right now, partly thanks to the fact that just about everyone on the planet seems to have a Facebook account. That, coupled with the fact that there are chat enabled Facebook apps for all the major mobile players means that it’s not going to go away any time soon. 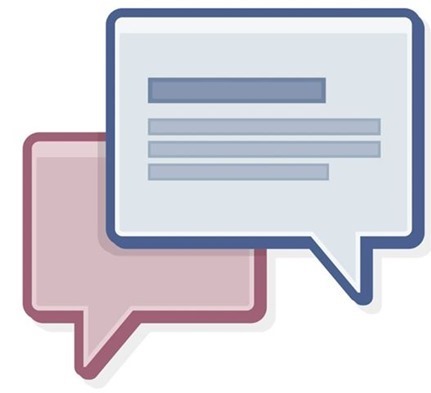 If you’re on the desktop though, you’re pretty much stuck with using the Facebook website in order to get your chatting fix, and that means opening yourself up to the full Facebook experience, complete with all its distractions, every time you want to have a conversation with someone. If you’re a Mac owner though, there is another way. In fact, we’d argue it’s the best way. If you’re a fan of the Messages app, then there’s just no contest. That’s right, Apple’s Messages app for Mac is compatible with Facebook Chat thanks to the social network’s decision to use Jabber, and Apple’s Messaging app supporting Jabber. Getting it up and running is as easy as it can be, too, so if you want to have a distraction free environment with which to chat over Facebook contacts, then here’s what you need to do. Firstly, you’ll need to open the Messages app on your OS X running Mac, then go to its preferences panel and then click on Accounts. Here you’ll find a ‘+’ button. Hit that and you’re now able to add a new account. 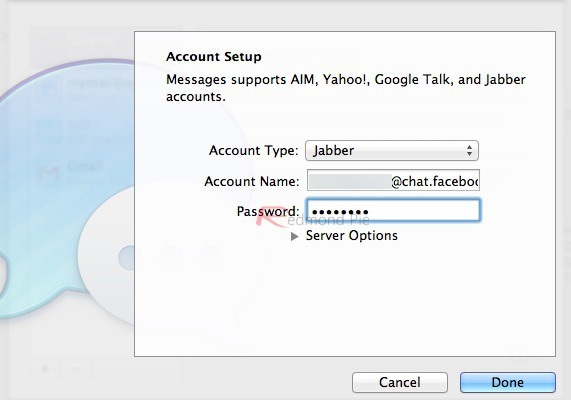 Choose Jabber and enter your username. That’s everything in your Facebook URL after the facebook.com/ – and add @chat.facebook.com to the end like in the screenshot. Then enter your Facebook password, also. Once that’s complete, press Done and you’re finished. 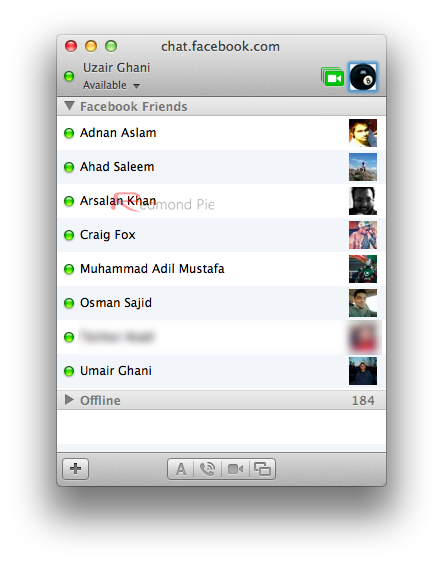 You should now be able to chat with any of your Facebook friends right from within the Messages app on your Mac. No visiting the Facebook website just to sent a few chat messages. So simple it hurts!